At work in the Australian Museum’s Collection and Research Building. Museums and their collections provide a critical research resource which generates ground-breaking in-house research projects and collaborations with other research agencies and academies. These interactions occur across the sciences and humanities and in nationally and globally significant areas such as climate change, bio-security, biodiversity, cultural identity and resource management. In 2013-14, CAMD museums participated in and generated new knowledge through over 266 grant-funded research projects worth more than $18m (AUD). In the same period, museum scientists and researchers made close to 785 presentations and released more than 1,000 scholarly publications. The research topics ranged from species description, geomapping and biodiversity identification to archaeology, historical projects and educational research. For examples of the behind the scenes work of museum scientists see the South Australian Museum’s Unlocked: Stories from Our Scientists, the Australian Museum’s Our Science, Museum Victoria’s Collections and Research and the research projects at Queensland Museum and Western Australian Museum. Collections also provide the raw material through which other researchers can discover the extent and character of biological and cultural diversity and how it may be sustained in the future. 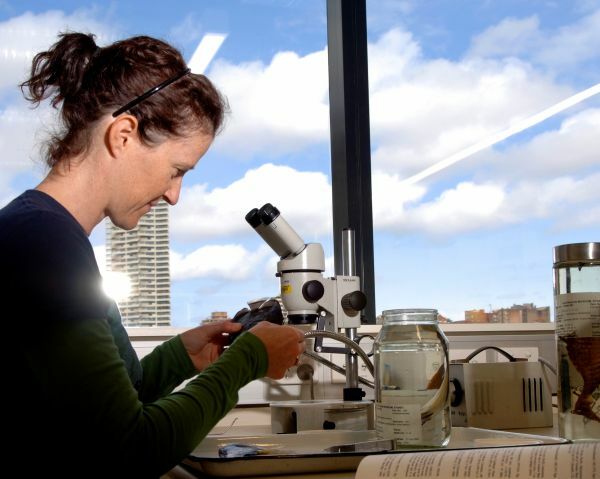 Projects such as the Atlas of Living Australia and its volunteer digital program DigiVol, and the Museums Metadata Exchange have utilised new technologies to advance the task of ensuring that the rich resources locked away in the collections are available, in real time, and remotely to the research community and public at home and abroad. Museums provide inspirational sources and nurture the development and application of innovative ideas. This occurs not only in scientific research but in the cultural sphere. The lines along which creativity and innovation proceed are anything but linear; they involve immersion in ideas and research across institutions and disciplines, opportunities to sample information and objects from a wide spectrum and the freedom to use and adapt the knowledge gained. Museums provide a hugely important resource for the artists, designers, inventors and craftspeople working in traditional mediums and the digital arts. This reflects their role as sources of ‘cultural memory’. They offer exhibitions which generate and celebrate new work. A number of CAMD museums also offer themselves as sites for further education, training and networking in the creative arena. The attraction of such programs, particularly for the young, can be seen, for example, in the thousands attending talks, markets, workshops and exhibitions staged by the Powerhouse Museum during the Sydney Design festival each year. Museums are an integral part of the creative economy and creative communities as they contribute on many fronts to the energy and inspiration which attracts creative industries, cultural entrepreneurs and innovators to certain cities and centres over others. For inspirational examples of the research and design projects run by CAMD museums see Case Studies.